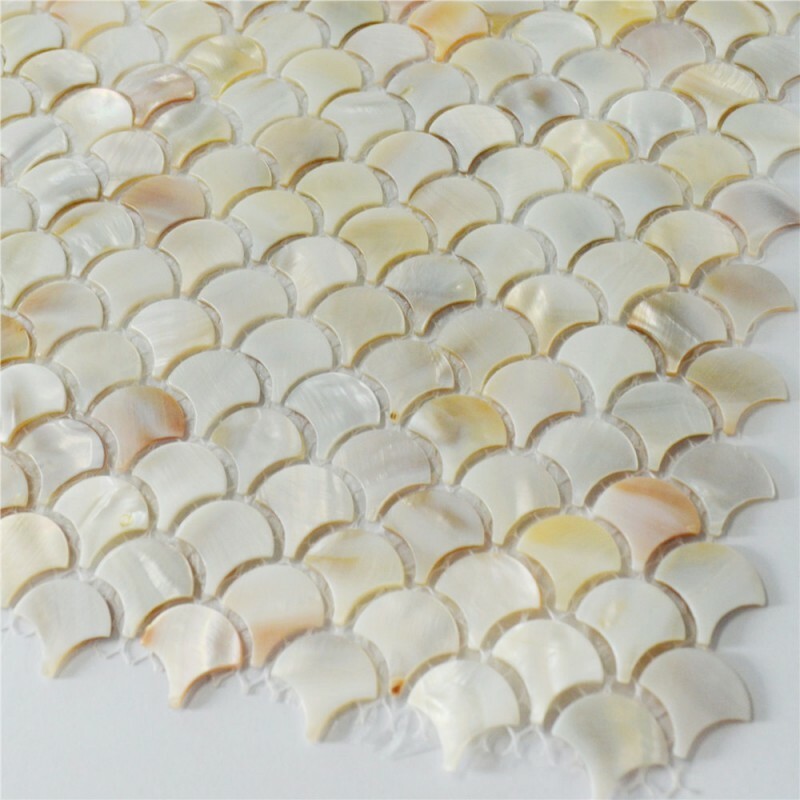 This abalone shell mosaic is mesh mounted on high quality fiber glass, easy installation of any mosaic tile projects. The mother of shell tile has a zero water absorption rate, and this tile exceeds ANSI standards for water absorption for mosaic tile. Each sheet of this pearl tile backsplash mosaic is approximately 1 square feet (12 * 12 inch), and 11 sheets is about one square meter. 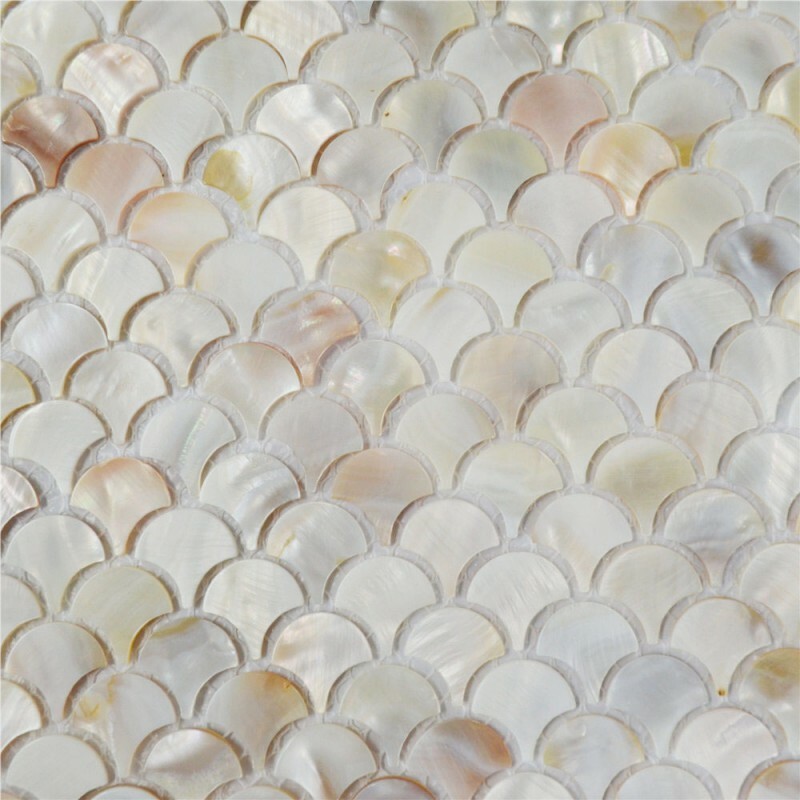 The unique design in fish scale shell tile is used for bathrooms, spas, kitchen backsplash, wall facades and hotels as well as a variety of other applications. If you are looking for something to add a personal touch to your kitchen or bathroom or any other space in your house, mother of pearl tiles on Bravotti will help you achieve what you want! 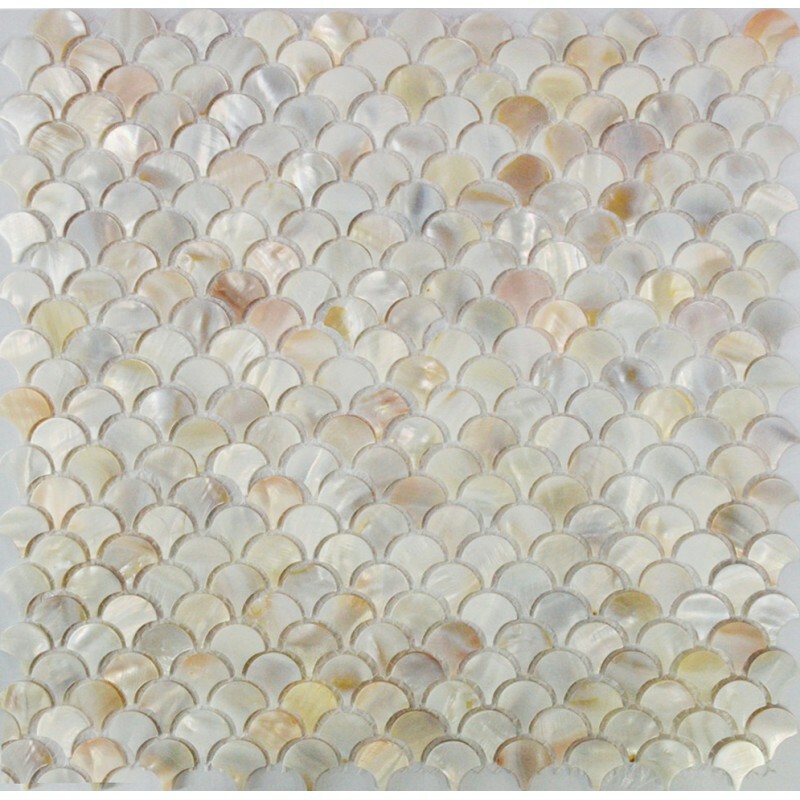 Disclaimer: Mother of pearl tile, also called shell tile or shell mosaic tile, is 100% natural and green products made of natural shell, polished and processed by hands. The color variation and occasionally small size variation naturally exist from chip to chip, from sheet to sheet, from job to job. However, the overall sizes are consistent and will NOT have any negative impact on installation; on the contrary, some small variations on sizes reflect the nature of the products thus making your wall or floor tiling project a more natural one. Also, the color variation caused by different computer screen or browser exists from different pc screens. Therefore, the possible color/size variations between the mother of pearl tile sample and actual shipment or the product color shown on the screen and actual shipment should not be considered as quality issues.